Braided hair? 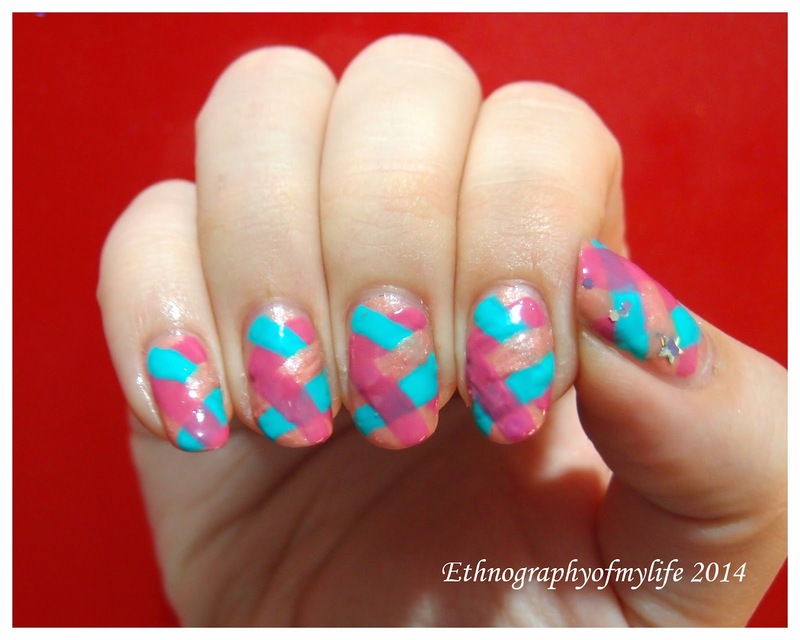 let's braid the nails too! Braiding nail is a new technique I learn from mainstream Youtubes. It's a very unique and stunning look. 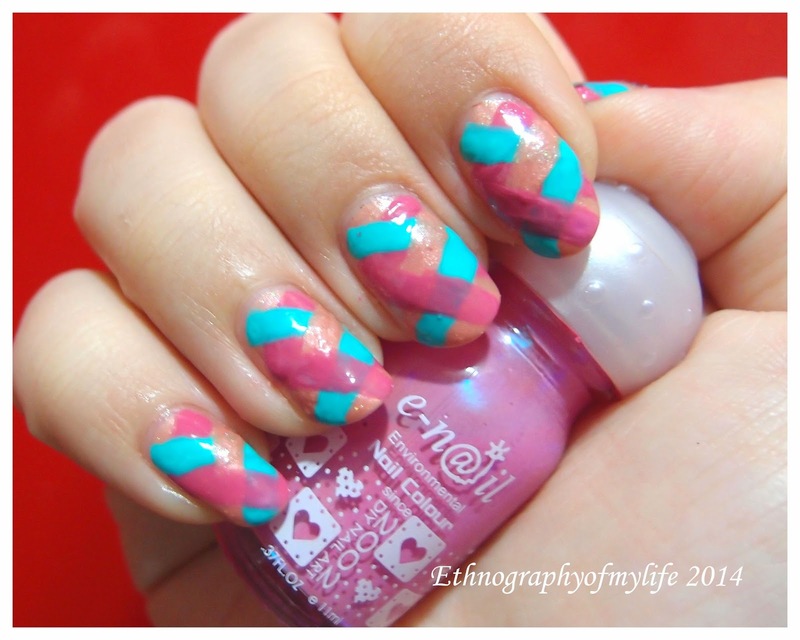 I use E-n@il Bird of Paradise, Candy Candy and Bikini for the three colors. From now on, I am not going to mention the brand, I only use E-N@il polishes nowadays. I made a lot of mistakes while 'braiding', and put too many layers! Makes it look boogey.